If you are repeatedly running behind schedule or have patients who are arriving late, canceling appointments, or not showing up, there’s a problem. The problem is a poorly managed schedule. An appointment schedule can make or break a practice in terms of efficiency, patient service, and profitability. When a practice overbooks or doesn’t manage the appointment schedule, everyone pays the price—the physician, patients, and staff. 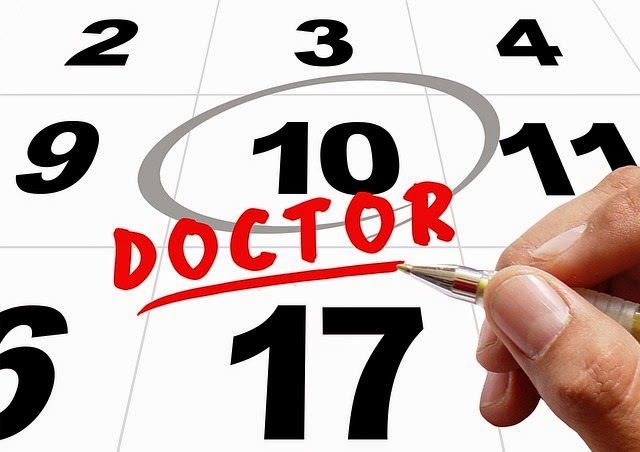 Missed appointments can compromise patient care and reduce your potential profits. Three missed appointments a day can add up to as much as $150,000 a year in lost revenue. The Field Guide to Physician Coding is now in its THIRD Edition! 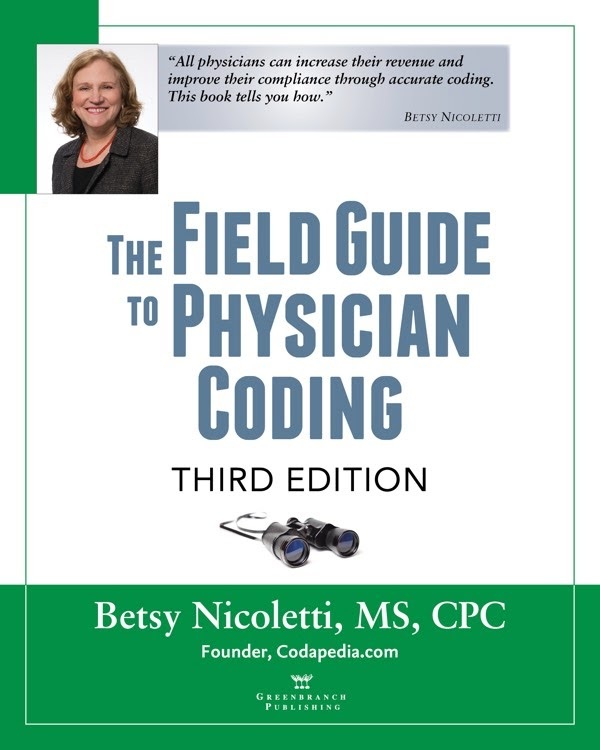 The third edition of Betsy Nicoletti's most popular and successful books, The Field Guide to Physician Coding, has just been released. Betsy Nicoletti is a nationally-renowned physician coding expert and founder of Codapedia.com. This book should be on the desk of every clinician, biller and coder in the country! No-nonsense advice supported by weblinks that answers the most pressing questions from physicians, practice managers, billers and coders. If your practice is like most practices these days, you're probably looking for ways - any ways - to trim a few bucks from your overhead burden. Sending an administrator or physician leader to the MGMA conference in Las Vegas for a few days may look like an easy target for budget cuts. 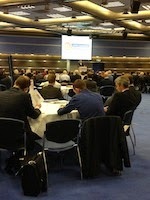 You may be tempted to skip the late October conference this year. Don't do it. You might respond, "But you don't understand! Our profit margin actually fell this past year. Regardless of some jury-rigged numbers from the Fed that point to economic recovery, we're still struggling with flat (or declining) revenues and ever-increasing expenses. We can't afford to send the manager off to a mini-vacation in Vegas." Don't do it. My biases made me hire: There are unconscious and conscious biases that managers have. Self-mirroring mirage: Self-mirroring behavior is a tragic hiring mistake. Rushing to fill the slot: This is the most costly and easily avoidable mistake. Poor at interviewing, poor at hiring: Individuals charged with hiring must be trained. Flawed interviewing processes: There is no excuse for not being prepared. The favorite son (or daughter, or nephew): Ideally the family member has worked somewhere else first. Groupthink: This can be evident in a company culture that is reticent to conflict with management. Rite of passage promotions: Proficiency in one position doesn't guarantee proficiency in another. 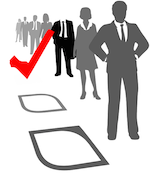 Weak candidate pool: With today's technology, there is no excuse not to develop ongoing and strong pools of candidates. Getting romanced or sold: Some candidates are masters at this. Use objective tools not just subjective “gut” feelings.